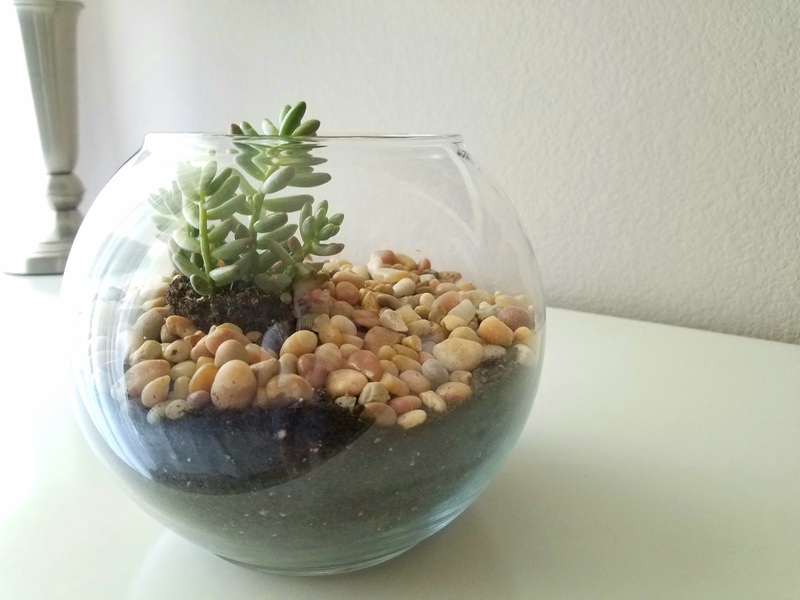 Terrariums seem simple enough to put together at first glance. Rocks, dirt, plant, done. The truth is, the best ones require some planning and an eye for design. 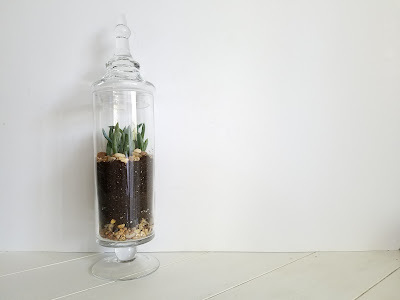 Sure, anyone could buy a glass container and a plant and throw together a terrarium. But to have one that lasts and looks great requires some know how and education. Which plants look best together? Is the container size right for the plant? Do the plants all have the same care conditions? I love playing around with the design of a terrarium. I have a talent for finding the perfect home for my plants. I mean, this apothecary terrarium is beautiful, right? I love the way the taller succulent draws the eye up to the lid. This wide guy is gorgeous. It has the added benefit of being sturdier than its taller friend, as it won't tip over as easily. And as pretty as they look in pictures, these beautiful terrariums look even better in person. Both glass containers were thrifted at my local non-profit store. The plants have good drainage and are in the proper soil for succulents, which means that there is lots of life in them get prettier and prettier with time. Which do you like better - tall or wide?